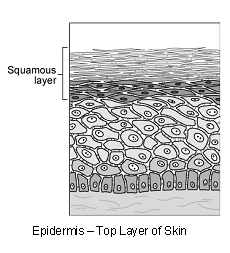 Squamous cell carcinoma in situ is a disordered growth of the skin epidermis that may extend to include epithelium of the upper part of the hair follicles. The growths affect pigmented areas of skin and most occur at multiple sites in the same animal. Sometimes there are oral (mouth) lesions. This tumor is analogous to Bowen's disease in humans, which is associated specifically with type-34 papilloma virus. In animals, some cases have been shown to have papilloma virus infection so they are probably virally induced. There are many different types of papilloma virus in all species of animals. The viruses are species-specific so there is no cross-infection between animals and people. The tumors occur on pigmented skin and are themselves pigmented so they are not sunlight related. Your dog or cat has been infected with one of these papilloma viruses. Normal animals and people may carry many viruses asymptomatically (without any clinical signs). In humans there are over 130 subtypes of human-specific papillomavirus and eighty of these have been fully gene-sequenced. However, we know little about canine and feline papillomaviruses. Only two subtypes have been fully characterized in the dog and two subtypes are recognized in cats. Sometimes the viral infection is recent but more often the immune system of an infected animal becomes less competent for some reason. In these cases, the viral infection persists and the induction of the tumor occurs later. Papilloma viruses are very resistant to adverse conditions so can survive for long periods in the environment outside an animal. They gain access to the body when the skin becomes softened by moisture, through cuts and abrasions, or with the assistance of ticks or biting insects (fleas, mosquitoes, et cetera). "Papilloma viruses are very resistant to adverse conditions so can survive for long periods in the environment outside an animal." After invading the cells, papilloma viruses attach themselves to the cell DNA (nucleic acid) and upset the normal regulatory mechanisms of cell division, so that the cell divides abnormally and more frequently. The virus does this by activating certain gene fragments of DNA (growth-promoting oncogenes), at the same time inactivating suppressor genes that would normally limit cell proliferation, and altering the genes that regulate normal, programmed cell death. This disease is rare in cats and very rare in dogs. This disease is a solitary or multifocal plaque that may be polyp-like or may become hairless. Sometimes the tumor remains static for years; in other cases it quickly multiplies. The few reported cases have not shown invasion of other parts of the body. Accurate diagnosis of squamous cell carcinoma in situ relies upon microscopic examination of the tumor. To obtain the samples, your veterinarian may use one or more of various sampling techniques such as needle aspiration, punch biopsy or full excision. Cytology is the microscopic examination of cell samples obtained by needle aspiration. This is useful for rapid or preliminary screening but is not fully diagnostic for these tumors. Definitive diagnosis and prediction of behavior (prognosis) require microscopic examination of tissue (histopathology). Histopathology also rules out other cancers. Your veterinarian will submit the appropriate samples to a specialized laboratory where a veterinary pathologist will evaluate the samples. If the entire lump was submitted, the pathologist will be able to assess whether the cancer has been fully removed. Treatment is surgical removal of the tumors. "Treatment is surgical removal of the tumors." In humans, a topically applied immune-modulating agent that stimulates interferon production has been used to treat papilloma virus lesions. Preliminary trials in animals are promising. This tumor rarely disappears without treatment but as development is a multi-step process, it may stop at some stages. The body's own immune system can kill cancer cells but it is rarely 100% effective, particularly if there is persistent underlying viral infection. Rarely, loss of blood supply to a tumor will make it die but the dead tissue will probably need surgical removal. Preventing your pet from scratching, licking or biting the tumor will reduce itching, inflammation, ulceration, infection and bleeding. Any ulcerated area needs to be kept clean. After surgery, you will need to keep the incision site clean and dry, and prevent your pet from rubbing, licking, biting or scratching at it. 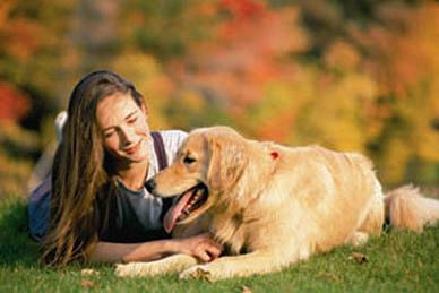 Report any loss of sutures or significant swelling or bleeding to your veterinarian. If you require additional advice on post-surgical care, please ask. Sometimes this cancer remains static for years but sometimes it rapidly multiplies. "The disease is currently considered to be biologically pre-malignant." In the few studies on this disease, the lesions have not recurred after surgical excision (mean follow up time 11 months). The disease is currently considered to be biologically pre-malignant. No, although this tumor is probably caused by an infectious agent (virus), the viruses are species specific and it is not transmissible to humans. The tumors in dogs, cats and people are not transmitted between species, nor are they transmitted directly from dog to dog or cat to cat.